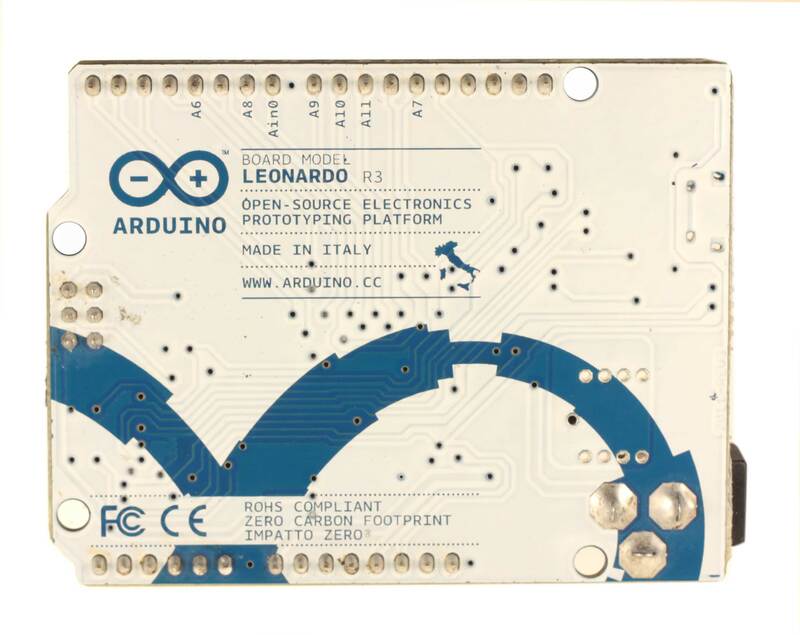 The Arduino Leonardo can be powered via the micro USB connection or with an external power supply. The power source is selected automatically. Serial: 0 (RX) and 1 (TX). Used to receive (RX) and transmit (TX) TTL serial data using the ATmega32U4 hardware serial capability. Note that on the Leonardo, the Serial class refers to USB (CDC) communication; for TTL serial on pins 0 and 1, use the Serial1 class. The Leonardo has a number of facilities for communicating with a computer, another Arduino, or other microcontrollers. The ATmega32U4 provides UART TTL (5V) serial communication, which is available on digital pins 0 (RX) and 1 (TX). The 32U4 also allows for serial (CDC) communication over USB and appears as a virtual com port to software on the computer. The chip also acts as a full speed USB 2.0 device, using standard USB COM drivers. On Windows, a .inf file is required. The Arduino software includes a serial monitor which allows simple textual data to be sent to and from the Arduino board. The RX and TX LEDs on the board will flash when data is being transmitted via the USB connection to the computer (but not for serial communication on pins 0 and 1). A SoftwareSerial library allows for serial communication on any of the Leonardo's digital pins. The Leonardo appears as a generic keyboard and mouse, and can be programmed to control these input devices using the Keyboard and Mouse classes. 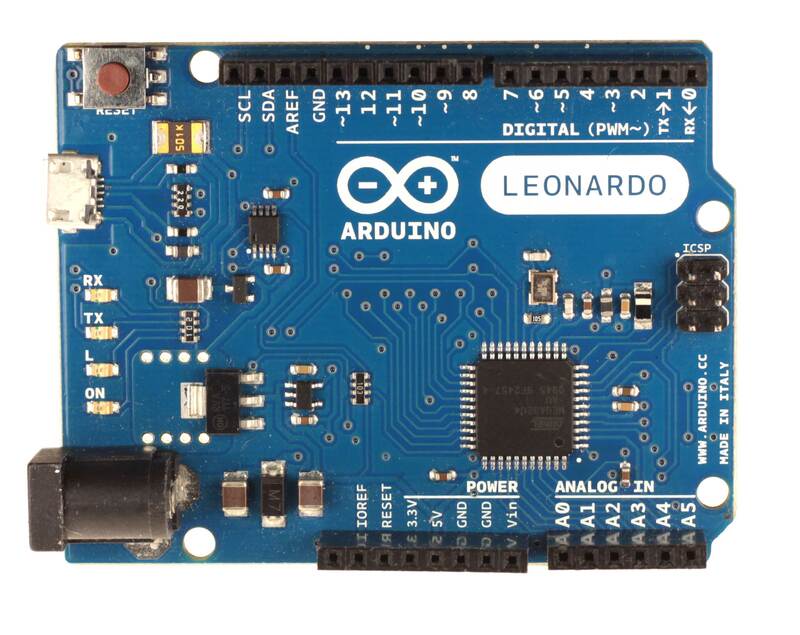 The Leonardo can be programmed with the Arduino software (download). Select "Arduino Leonardo from the Tools > Board menu (according to the microcontroller on your board). For details, see the reference and tutorials. The ATmega32U4 on the Arduino Leonardo comes preburned with a bootloader that allows you to upload new code to it without the use of an external hardware programmer. It communicates using the AVR109 protocol. Rather than requiring a physical press of the reset button before an upload, the Leonardo is designed in a way that allows it to be reset by software running on a connected computer. The reset is triggered when the Leonardo's virtual (CDC) serial / COM port is opened at 1200 baud and then closed. When this happens, the processor will reset, breaking the USB connection to the computer (meaning that the virtual serial / COM port will disappear). After the processor resets, the bootloader starts, remaining active for about 8 seconds. The bootloader can also be initiated by pressing the reset button on the Leonardo. Note that when the board first powers up, it will jump straight to the user sketch, if present, rather than initiating the bootloader. 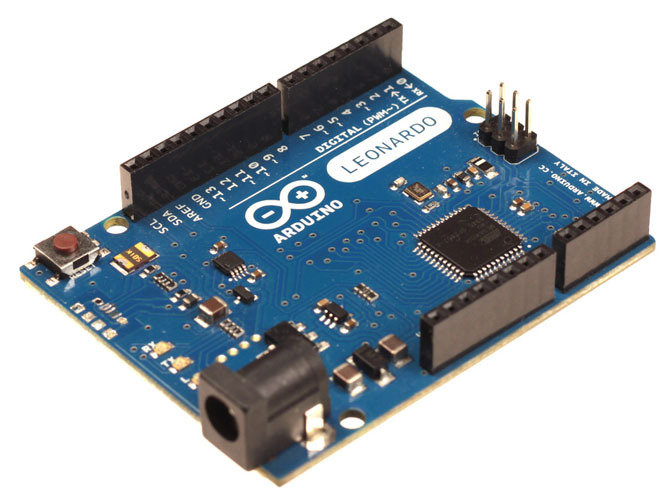 Because of the way the Leonardo handles reset it's best to let the Arduino software try to initiate the reset before uploading, especially if you are in the habit of pressing the reset button before uploading on other boards. If the software can't reset the board you can always start the bootloader by pressing the reset button on the board.